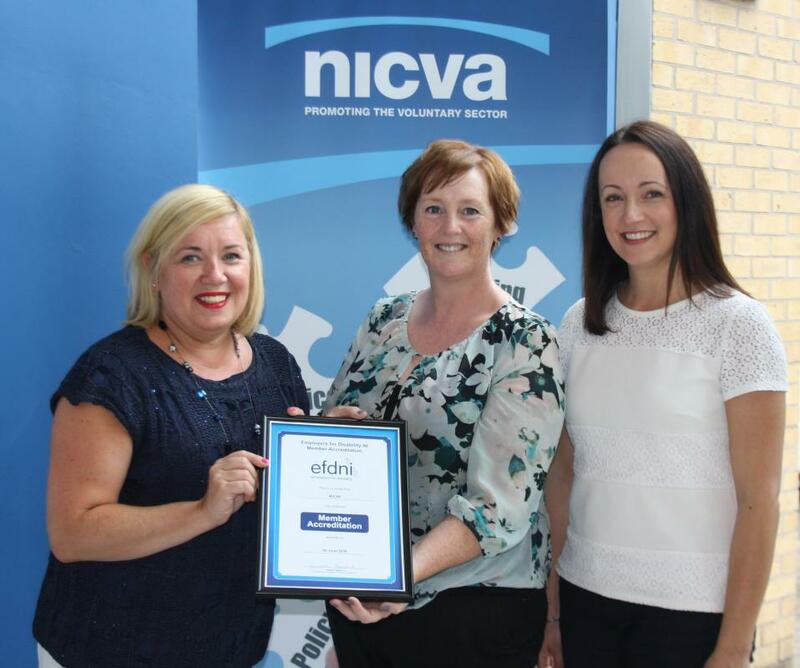 Gabrielle Fitzpatrick, Training and Advice Director at Employers for Disability NI, presents EFDNI membership certificate to NICVA. We at NICVA were pleased to achieve membership of EFDNI and Gabrielle presented the membership certicate to NICVA's Deputy Chief Executive, Úna McKernan and HR Manager, Alex McGimpsey. Being a member of EFDNI means we are part of a network of employers from the public, private, and voluntary & community sectors and through EFDNI we can access valuable training, advice and guidance to help us promote employment opportunities and accessibility for people with disabilities as employees and customers.